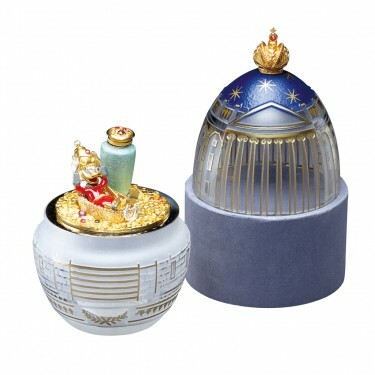 The Scrooge McDuck Midnight Egg is the result of a unique collaboration between one of Disney's legendary artists, Carl Barks and Theo Fabergé. 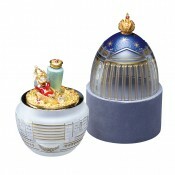 The exterior of the crystal Egg has been hand etched and enamelled to depict the exterior of the Treasury Building. Where else would one expect to find the world's richest self-made duck, but wallowing in the gold and treasure within the heart of the Treasury at midnight. 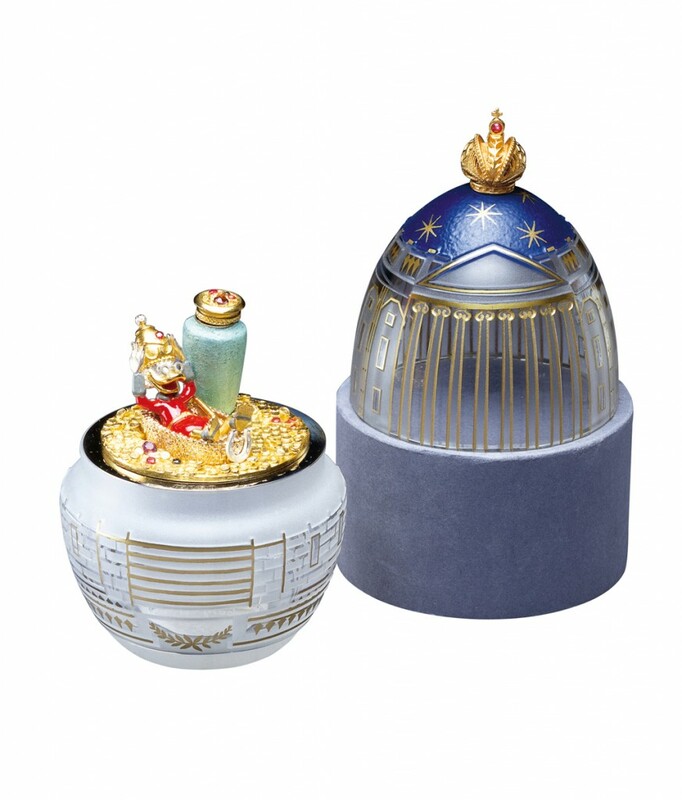 This humorous scene has been created from sterling silver, gold, enamel and precious stones. Materials: Crystal, sterling silver, enamel and 24 carat gold.